Located in the Limburg hills, Kasteel Wijlre estate is a 20-minute drive from Maastricht, Heerlen, and Aachen (Germany). The Kasteel Wijlre estate entrance is on the left of the Kerkpad, at the end of which there is free parking by the fishpond and sports fields. 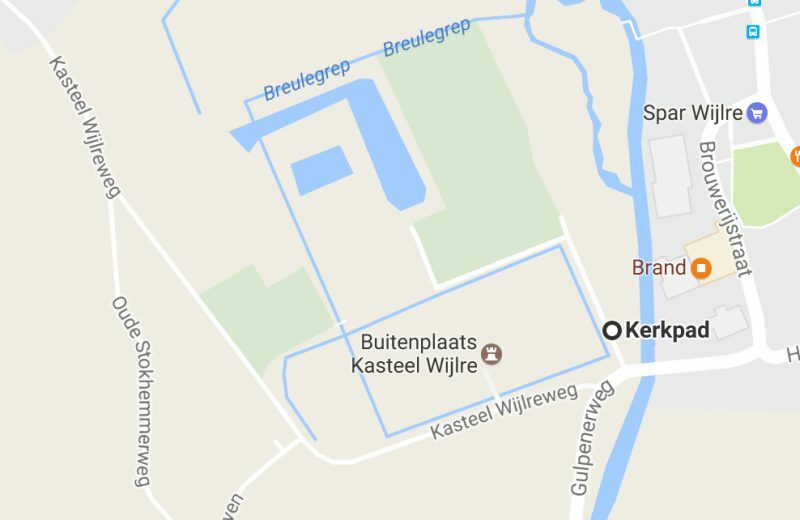 The Kerkpad runs between Kasteel Wijlre estate and the Brand brewery. The Wielderdorpstraat bus stop is a few minutes walk from Kasteel Wijlre estate. There are good bus connections to Wijlre from Valkenburg Station. We recommend consulting www.9292.nl for departure and arrival times and related travel information.